How can you find telecom tax recovery when auditing the telecom billings? Auditel has developed high levels of telecom tax recovery and surcharge knowledge which allows us to conduct “go behind” telecom audits and you’d be surprised to find out how much leftover telecom tax recovery we find hidden in telecom billings after another auditing company has completed their version of a telecom audit months prior. Even our competitors bring telecom tax recovery audits to us for review to see if we can deliver more telecom recovery or savings once they have completed their work. After providing telecom audit services for the past 23 years our telecom audit services and client base still continue to grow and expand. Auditel provides the highest telecom tax recovery savings along with a complimentary telecom inventory with each full audit. We provide telecom tax management among other services. Telecom tax audits involve manual review of telecom taxes associated with telecom expenses. Any large client with an International presence may be subject to several state and federal tax obligations. This can become quite complex, cumbersome, expensive and almost impossible for a client to track in-house with multi-location situations. Let Auditel service solutions work for your business with no out of pocket expense! Our telecom savings and telecom recovery delivers maximum recovery. Does Auditel alert the public to new telecom tax recovery as it become available? Yes, Auditel alerts our clients via press releases and our telecom news page. In addtition,l Auditel sends out press releases to notify the general public. Back in 2006 Auditel sent out several press releases alerting the public and business owner to file and claim the Federal Excise Tax, aka the Telephone Excise Tax Refund (TETR). This $4 Billion refund was unclaimed by millions. Another large refund came out last year and was extended through June 20, 2016. The City of Los Angeles agreed to pay $92.5 Million Settlement of Ardon v. City of Los Angeles. This refund telecom tax is known as the telecom Utility Users Tax UUT and is still accessible via the website www.lataxrefund.com. For more telecom tax recovery stay tuned to our Telecom News page for updates and telecom tax news. Auditel has the latest telecom tax recovery knowledge to bring your business largest recovery and telecom savings. Auditel processes telecom tax recovery claims and we follow each disputes to completion. This is the process we use for all refunds and recoveries with all service providers. Our telecom tax recovery and auditing process is very comprehensive using propriety analytical tools and manual audit techniques. It produces more detailed and accurate telecom tax savings compared to OCR software used by many other TEM companies. We investigate all telecom taxes within all usages and on all services (to include a few): wired phone service, local phone, long distance, data, MPLS, VOIP, SIP, SD-Wan, circuits, trunks, optical circuits, T1, T2, T3, DS1, DS2, DS3, OC1, OC3, wireless, mobile services, hotspots, data cards, and so on. How can your telecom manager find tax mistakes without advanced telecom tax training? They won’t be able to locate some refunds without deep tariff knowledge and telecom tax training. The deeper historical telecom tax refunds require years of bill auditing knowledge, not just common sense applications. If telecom audits were simple, everyone would do them. That’s what we tell our students on the first day of training. In fact, if you are looking for that silver bullet, you won’t find it here. Moreover, the larger refunds require deep telecom knowledge. These require a lot of drill down calculations and have many factors. If your telecom team is like most, they are incredibly busy keeping your services operational and functioning properly. They are constantly adding new locations, new equipment, and they just can’t make enough hours in the day. Auditel has a proven telecom tax recovery track record for delivering superior tax recovery. We bring historical telecom refunds on all services including wireless recovery and data recovery. As technology is dynamic and the environment is constantly changing, Auditel has the infrastructure to manage your costs. We can reduce your telecom expense, and protect your telecom services. We have the telecom tax knowledge needed to uncover the largest tax savings and we can help your business get maximum telecom tax refunds with no out of pocket expense. What is needed for maximum telecom tax recovery? If your company kept accurate telecom records and bill copies along with all MACDs (moves, ads, and changes) it will help in the review and analyzation process. Maintaining accurate telecom records is always helpful. Auditel can provide maximum tax recovery and also bring your company a telecom inventory, contract compliance review, telecom service optimization, and research into your telecom service infrastructure. What are some taxes Auditel has obtained refunds for? Auditel performs a very comprehensive telecom tax recovery and performs telecom audits on all service providers voice and data circuits, analog and digital lines, PRI, SIP trunks, SD-Wan, circuits, trunks, optical circuits, T1, T2, T3, DS1, DS2, DS3, OC1, OC3, wireless, mobile services, hotspots, data cards, and so on VOIP, Wired and Wireless (Cellular) devices including all mobile phones, plans, usages for all service types, any non- recurring, and recurring fees, surcharges, State, Local, County, City, and Federal Taxes including Federal Excise Tax, USF, UUT to name only a few. Negotiating the refund for overcharges with telecom vendors is tedious and sometimes frustrating. 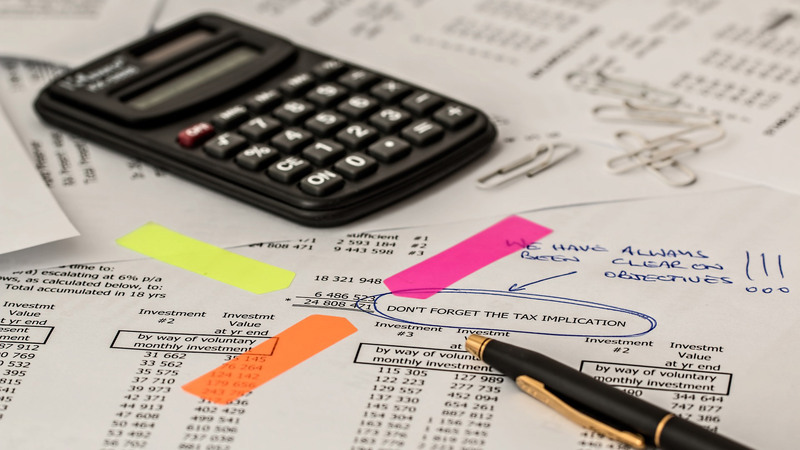 Telecom tax recovery audits require time and can always become a lengthy process when locating billing errors, filing telecom disputes, and obtaining maximum recovery. In fact, very few telecom employees can read and translate thousands of USOCs, various service types, and Classes of Service that make up the telecom billing charges. However, in most cases, employees won’t have the knowledge or training to determine correct taxes. Auditel can conduct the telecom tax refund audit with no out of pocket expense, and train your staff during, and after the audit for maximum tax savings. In summary, historically Auditel has produced telecom savings of 15 % to 45% of client’s annual telecom expenses. Over the years we have achieved $118 Million in Pro-forma savings for some of our regular clients. Based on success of our telecom tax recovery process, many clients have engaged us several times over the years at regular intervals. Interestingly, due to the dynamic and constantly changing environment of telecom services there are saving opportunities in almost every invoice.